An “annuity stretch” gives non-spouse beneficiaries a little-known way to receive income and defer taxes. Here's how you might be able to use it. Make the most of your annuity by utilizing the newest method, the nonqualified annuity stretch. If the beneficiary or beneficiaries take the proceeds as one lump sum or even distributions over a few years, they might get kicked into a higher tax bracket. 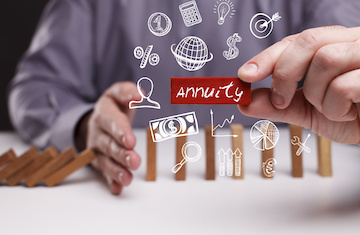 For an annuity with a large untaxed gain, that could mean that a lot of the money would go to pay state and federal income taxes. This is a problem only for non-spouse beneficiaries. A surviving spouse can usually just keep the annuity intact and continue to defer tax. Fortunately, there are ways for a non-spouse beneficiary to spread out payments and taxes, continue to benefit from tax deferral, and thus, receive more money. Non-spousal beneficiaries have one year from the death of the annuity owner to set up the stretch distribution. Only natural persons (not trusts or charities) can choose the stretch option.